Did you know that even the most experienced dancers can get stage fright? Now imagine your child preparing for their first big dance performance or competition…it can seem extremely scary! The good news is that these pre-performance fears are completely normal and are experienced by many dancers. The trick is to find out how to accept these emotions and deal with them in a positive way, so it does not affect the performance. 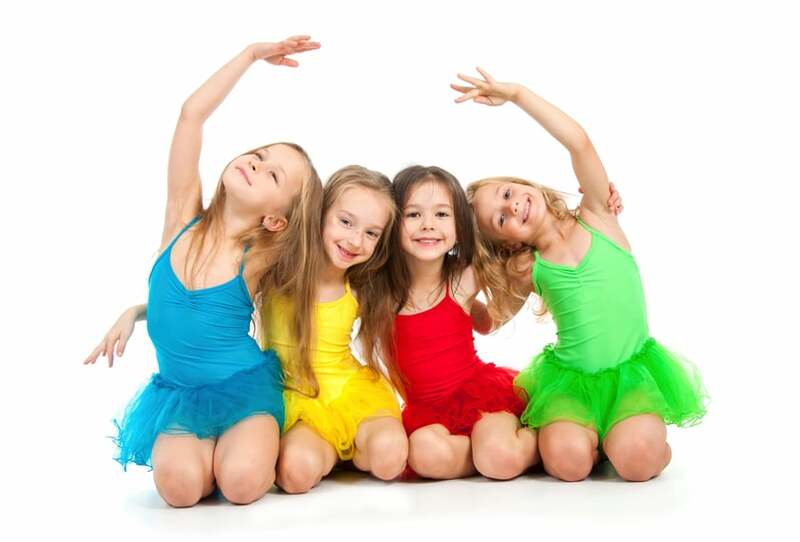 Here are some important tips to help your child overcome nervousness, and how our dance classes in Toronto offer the right guidance to get them through these challenges. One of the best ways to prevent your child from pre-performance nervousness is to encourage them to practice. Dancers who are well-prepared are less likely to freeze when they get on stage. Encourage your child to spend as much time as possible rehearsing in front of friends and family until they are completely relaxed and prepared. Practice will give them confidence. Pre-performance jitters can happen to even the most experienced performers and athletes, so on the day of the event, your child must learn how to relax and manage their stress. Some dancers have a ritual to get them in the right mood before performing. They may breathe in deeply to calm their nerves or dance around and shake out their limbs to loosen up. Whatever works for your child, encourage them to make this part of their routine before they get on stage to help them manage stress and stay focused. The earlier your child understands that nervousness is a normal and reasonable emotion, the better they will be able to accept their feelings and move past them. Many times, people who feel nervous before a performance will overanalyze possible mistakes and get overwhelmed by the emotion until they freeze up. This begins with a misunderstanding of these nervous feelings, and a lack of the ability to move past it. Once your child accepts that they may feel nervous, they will realize it is just part of the process and does not signify a lack of preparation or future failure. There are many different exercises that help to calm the mind and lower anxiety and stress. Meditation, yoga, and deep breathing are just a few. By breathing in and out deeply, expanding the belly with each inhale, stressful feelings will slowly fade away. It is extremely difficult to be alert, focused, and remember a routine without enough sleep. That’s why dancers should avoid fatigue by getting enough sleep at night. If your child is having a hard time sleeping because of video games, cellphones, or other distractions, help them establish a “no tech” time before bed so they can ease into sleep. For dancers young and old, it’s important to have a healthy, balanced diet. Too much caffeine and sugar can cause unpleasant symptoms like fatigue, irritation, and abdominal discomfort. Aim to substitute fast food and sugary drinks for vegetables and lean meat or other protein sources. A healthy diet will help your child have the energy and strength to practice and remember every step to prepare for a terrific performance. Dancers that have positive social support systems do better than those who feel isolated and alone. A positive group of friends or team members can help your child relieve their anxiety and find confidence in knowing they are loved whether they get the routine perfect or not. Additionally, having friends to share their fears with can open them up to encouragement, positive feedback, and constructive tips for improvement. If your child has been practicing for hours, it may be time for a break. All the stress and tension built up in preparation for a performance can be burdensome and tiring. Encourage your child to distract him or herself with another hobby or outlet. They may go outside and play with their friends; draw, paint, or create something from their imagination; or read their favourite book. Before a big dance recital or performance, it’s easy to slip into the habit of focusing too much on perfecting the routine and forgetting about personal health and well-being. Be sure that your child is getting enough sleep and eating healthy meals to prepare for their performance. Staying active will also help them feel physically and mentally prepared for the big day, plus, it regulates hormones that cause stress. Understanding these feelings of pre-performance nervousness is just the beginning of overcoming these fears and being confident. The right dance instructors will help young dancers prepare by offering positive information about how to deal with stress, and tips to get in the right mind before a performance. While there are many dance schools to choose from, Performing Dance Arts is the right choice for you. Our school has trained instructors that have years of industry experience and skill, and who care greatly about the progress and happiness of our students. Our outstanding facilities inspire creativity and our instructors will motivate your child to dance with passion, creativity, and excitement. Our dance classes in Vaughan cater to children of all ages and skill levels, so contact us today to enroll your child or learn more about our programs. We will provide you with all the information you need to prepare your child for their first class. If you want a firsthand idea of what our dance studios are like, simply pay us a visit!